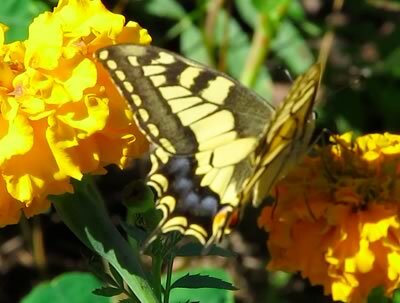 I mentioned elsewhere what an enormous difference the presence of flowers in the vegetable garden this year has made to the number and varieties of butterflies we’ve seen. Considering that the number and variety here is, even without flowers, comparable to a profusion and diversity that’s not been present in the UK for a good 40 years, then perhaps you can begin to grasp what a wonder this year has been. 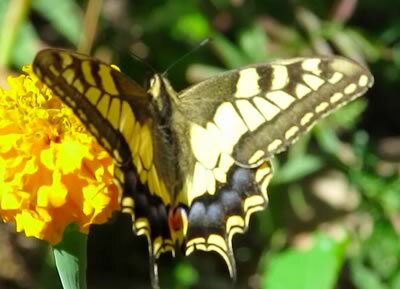 Today we had a visit from a swallowtail. Not the Scarce Swallowtail (Iphiclides podalirius) I’ve seen here many times before, but THE swallowtail (Papilio machaon), the largest resident butterfly in the UK, found there only in a few areas of the Norfolk Broads, and consequently not one I’d encountered in a childhood fascinated with butterflies. 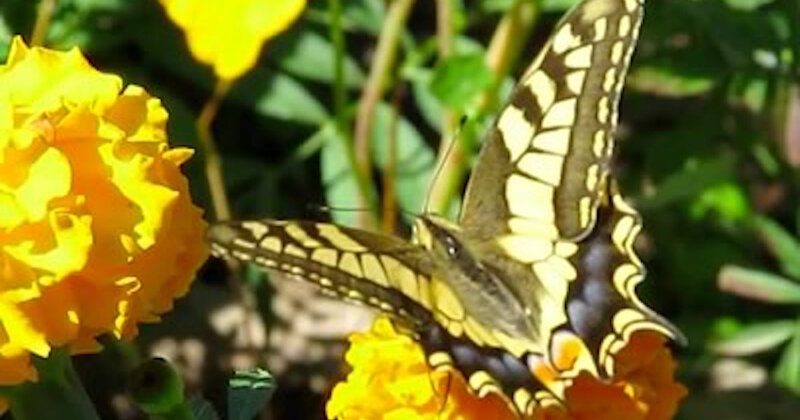 The fact that it’s widespread throughout Continental Europe made not the slightest dent in the excitement I felt finally seeing this butterfly up close.